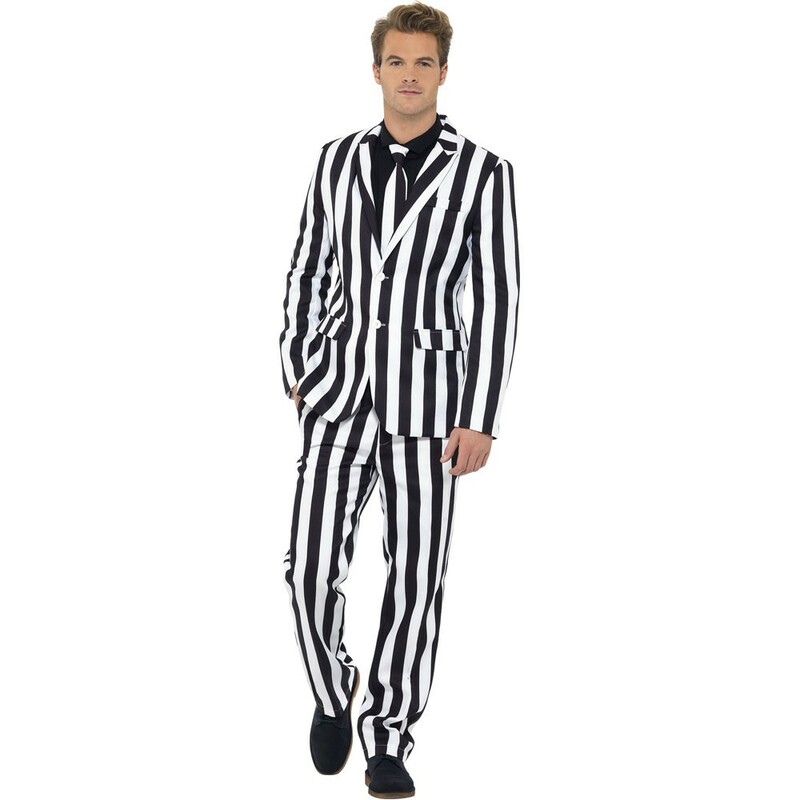 A Humbug Stand Out Suit including a coordinating Jacket, Trousers, and Tie – Ideal for any fancy dress occasion! Be an attention seeker with this amazing Humbug Stand Out Suit. This costume comes complete with a matching Jacket, Trousers, and Tie. All three pieces of this Humbug Stand Out Suit feature a black and white striped design and also features a contrasting coloured lining. The Jacket fastens by two buttons, and also features a collar and pocket details, whilst the Trousers feature a simple button fastening. 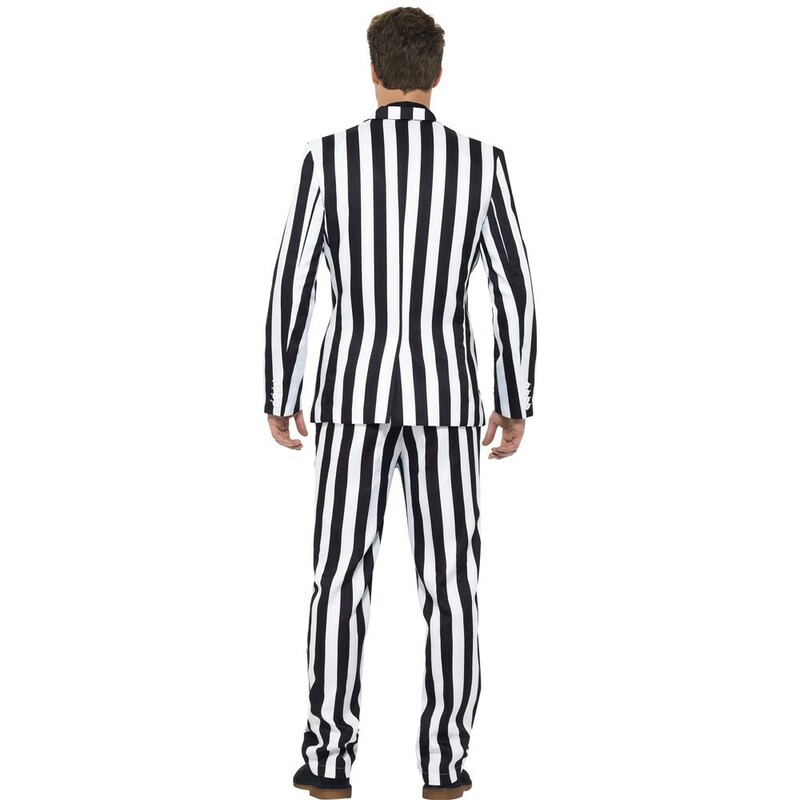 This Humbug Stand Out Suit comes in a deluxe gift box. 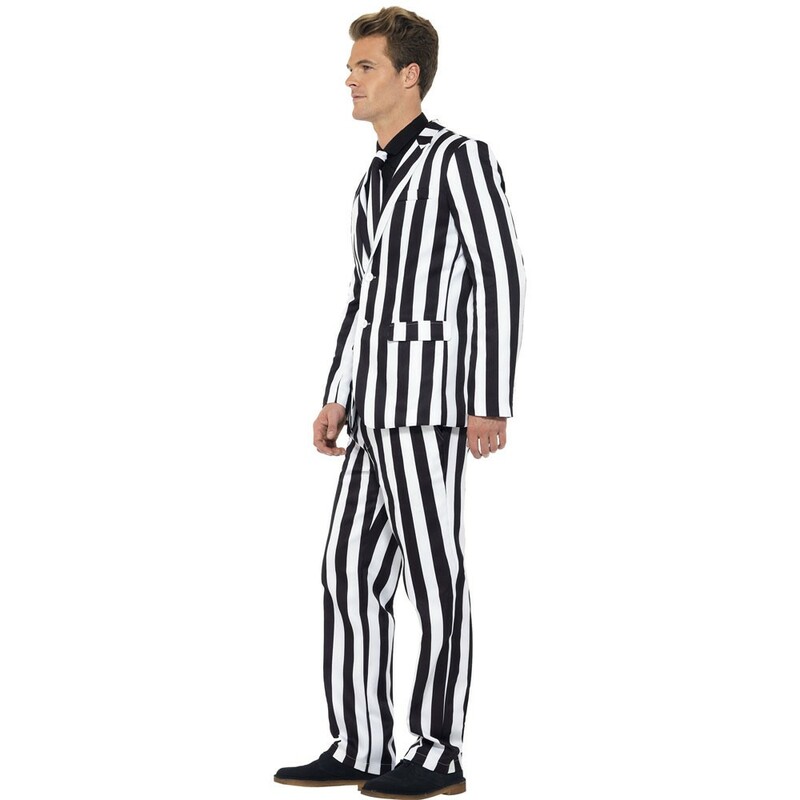 This truly stripy suit will be sure to make you stand out from the crowd with this fantastic Humbug Stand Out Suit. A Humbug Stand Out Suit including coordinating Jacket, Trousers, and Tie.